I have always seen ‘the bigger picture’ and have often managed change, as organisations cannot remain static. Understanding people and dealing with individuals and teams has been important throughout my career. The U3A is a fascinating and amazing organisation where we all give and receive the considerable and varied skills we have acquired through our lives. I firmly believe in the aims and guiding principles of the U3A and everything it offers its diverse and growing membership. 2013 - became chairman. 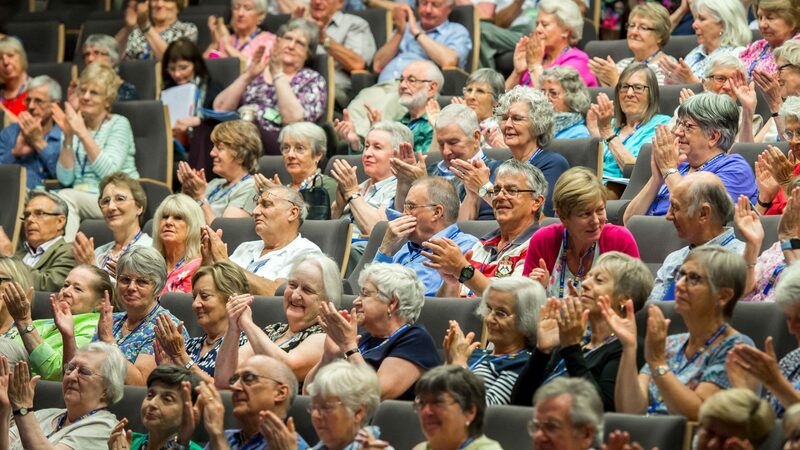 The Link covers Worcestershire, Herefordshire and Gloucestershire (South West Region), arranging bi-annual seminars covering running a U3A; Special Interest Days with a specific theme; and our first Language Summer School last year covering all 7 languages offered by our member U3As. I have worked with the South West Trustee and RV team; attended Morecombe U3A’s seminar with Lancaster University; in May will travel to Munich University for seminars and meetings organised and arranged by the national German Subject Adviser. Working closely with the West Midlands Trustee and the dedicated team of Regional Volunteers, have assisted with setting up new U3As and listening to those with queries, uncertainties, or specific issues. It would be a privilege to become their Trustee and continue to provide a valuable service to the area, and to represent the Region on the NEC. I have 2 sons and a teenage granddaughter, who keeps me on my toes. My husband is secretary of our local U3A, so we understand and support each other in our different roles. I love sewing, gardening, travel and languages, and within the U3A’s opportunities, I can continue learning and following them all. I’ve been inspired to stand for election as Regional Trustee for the West Midlands by closely observing the current incumbent Tony Randell, and seeing the way he has transformed the region into a vibrant force for the improvement in life quality for thousands of members in the area. His work with Deaf Awareness and other areas of concern has been a massive boost for those affected, and I hope to continue the work, spreading the culture into all areas of our communities. I also wish to bring to the fore in our discussions as a region, the ethos and aims of the movement. I know they are there, beneath the surface in everything we do, but we don’t seem to shout them from the rooftops, and I think our reticence is reflected in an apparent lack of willingness to volunteer in some U3As. This can be part of the trouble many of us have in attracting committee members or people to lead groups. The default position in many U3As I’ve come across is to “not” volunteer. I’d like to reverse that default position, or at least begin on the road to changing it. It’ll be a long job, but worth having a go. I’ve travelled around the country over the last eighteen months on behalf of the Third Age Trust, meeting committee members from hundreds of different U3As. What I do know without fear of contradiction is that each U3A is both different from any other, the same in many ways as all the others. When I raise the subject of volunteering with the folk from Little Dribbling U3A I’m told that the people there won’t volunteer; it’s not in their DNA apparently. Yet when I’ve sat down with them they all read the same newspapers, drive the same cars, watch the same TV programmes, shop in the same supermarkets and go on the same holidays. When you have a cup of tea with them, they’ll tell you about their hip operation or the idiot their daughter just married and, inevitably, how they can never get anyone to serve on their committee. I love my own Stafford U3A. I’m been on the committee now for some years, most recently to assist over 80 groups. I also looked after two groups myself until recently: My Life – a writing group; Antiques Hunt still to blossom. I feel that, if we are to achieve anything like the 2000 U3A target, recently set by our founder Eric Midwinter, then we need a well - planned and carefully organised programme of new U3A openings. We need to be careful not to tread too close to existing U3As, whilst still achieving the main objectives of our movement; namely that a U3A should be available to anyone who wishes it NOW.